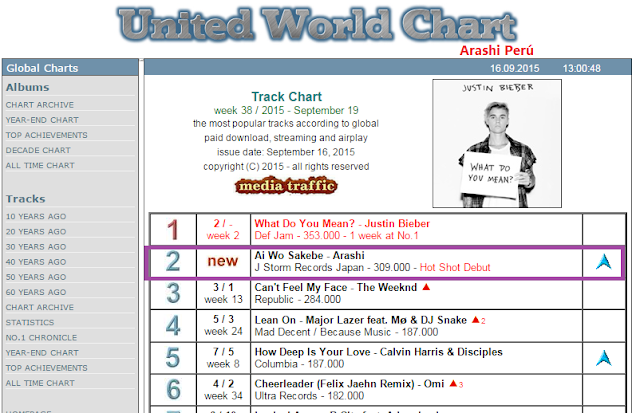 [NEWS] ARASHI EN EL PUESTO 2 DE LOs UNITED WORLD CHART / ARASHI DEBUT AT NO. 2 AT THE UNITED WORLD CHART ~ . Congratulations to ARASHI for reaching the position No.2 at the United World Chart. It was the named a Hot Shot Debut. 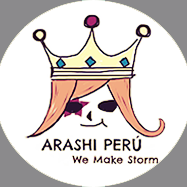 Felicitaiones a ARASHI por alcanzar el puesto No. 2 en los United Global Chart y ser nombrados como el Hot Shot Debut.